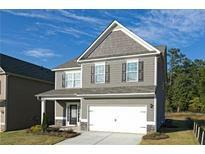 Find Covington, GA Condos for sale. View Photos, Maps and MLS Data Now! The Kitchen Is The Heart Of The Home With An Extra Large Peninsula That Is Perfect For Extra Seating, Stainless Steel Appliances,New Fixtures And Granite Counters. MLS#6538301. Palmerhouse Properties. Home Can Only Be Sold To Owner/Occupant. No Investors. MLS#6538191. Southside Realtors, Llc. Thornwood - Home Comes With A 30-Day Buyback Guarantee. Terms And Conditions Apply. MLS#6536919. Opendoor Brokerage, Llc. Photos And Virtual Tours Are Stock But Representative Of Floor Plan. MLS#6537435. Sdc Realty, Llc..
Large Lot, Side Entry Garage, Wrap Around Porch And Lots Of Parking. MLS#6537754. Wilson Realty Group. The Tenants Have Moved Out And The Home Is Currently Being Refreshed. MLS#6537713. The Homestore, Llc..
Sautee Bluff - Walk In Closet W/ California Closet System! MLS#6536735. Re/Max Agents Realty. Newton Ridge - Granite And Tile Updates ,Large Fenced In Private Back Yard, Large Lot , Beautiful Water Fall With Koi Pond MLS#6535907. Keller Williams Realty Chattahoochee North, Llc. Home Comes With A 30-Day Buyback Guarantee. Terms And Conditions Apply. MLS#6535315. Opendoor Brokerage, Llc. Close To Freeway Access. Come View This Home Today! MLS#6537028. Offerpad Brokerage, Llc..
1% If We Show Property To Your Client. 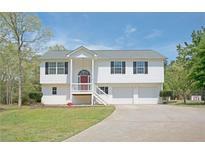 MLS#6536889. Virtual Properties Realty.Net, Llc..
Loads Of Potential! Priced Just Right. MLS#6536355. Keller Williams Realty Atlanta Partners. All Side Entry, Porches Front & Back, Fireplace And So Much More. MLS#6535959. Re/Max Agents Realty. Home Comes With A 30-Day Buyback Guarantee. Terms And Conditions Apply. MLS#6535305. Opendoor Brokerage, Llc. Jon Housley Is A Non-Owner Licensed Real Estate Agent. MLS#6535813. Simply List. Inglewood Park - This Home Has Space Galore, Don'T Miss, Very Well Maintained Home! MLS#6534982. Coldwell Banker Bullard Realty. Clearbrook Estates - Home Comes With A 30-Day Buyback Guarantee. Terms And Conditions Apply. MLS#6534181. Opendoor Brokerage, Llc. 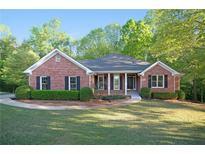 River Walk Farm - The Home Is Located In A Swim/Tennis Community In The Eastside High Zone In Newton County. MLS#6534754. Platinum Real Estate, Llc..
New Roof, New Hvac, New Siding! ! 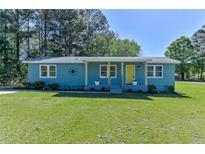 MLS#6535399. Clickit Realty. Spacious Secondary Bedrooms And Two Additional Bathrooms Makes This Home A Must See! MLS#6534216. 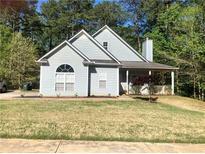 Ccg Realty Group, Llc..
Hinton Chase - Minutes From Interstate - 20 This Home Has Not Only Location Going For It But Also A Great Space For You. MLS#6533867. Keller Williams Rlty, First Atlanta. 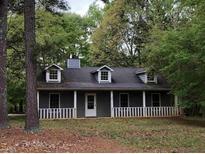 Close To I-20 And Major Shopping...So Much To Love & Enjoy When You Make It Yours! ! MLS#6534266. Virtual Properties Realty.Com. The Home Is Currently Rented Through The End Of August 2019; Tenants Desire To Stay. Home Sold As-Is. MLS#6534175. Bhgre Metro Brokers. Covington Place - Don'T Forget To Include The Material Relationship Disclosure "Listing Agent Is The Principle In The Llc That Owns This Property" And Also Please Include The Buyer Signed Lead-Based Paint Exhibit With Your Offer As An Exhibit. 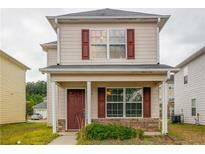 MLS#6533943. Kurt And Sheila Team, Llc.. Unfinished Basement W/ Interior And Exterior Access. Agents Use Showing Time. MLS#6532894. Mark Spain Real Estate.